A Giant in Your Garden! 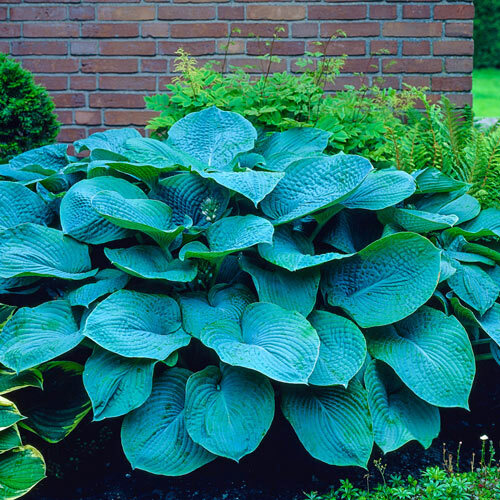 Large blue-green, heart-shaped leaves make quite a statement in shaded areas of your landscape. At 30-36" in height, these beauties will impress everyone who sees them. Pale lavender to white flower spikes appear in midsummer for 2-4 weeks. 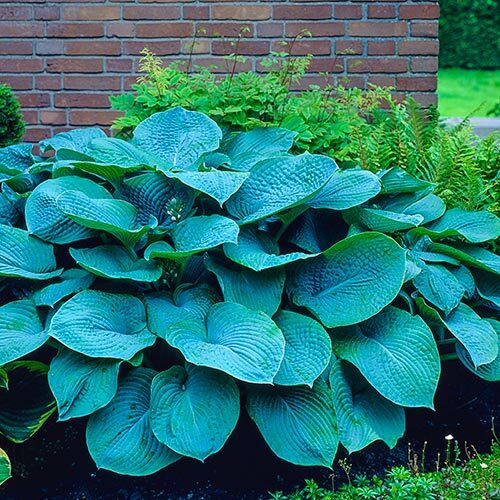 Foliage TypeLarge blue-green round to heart-shaped leaves. Flower FormTubular spike - downward facing trumpets. Soil RequirementsAverage well drained soils. PruningRemove spent flower stems to tidy up plants for rest of the season. After flowering. Winter CareMulch to protect the first year. Planting InstructionsPlant with the tip of the crown just below or at ground level. Dig hole large enough to spread roots out naturally. Plants, fertilizer and other supplies* will be shipped at the proper planting time for your area of the country during the shipping timeframes outlined below. *Fertilizer and other supplies ordered apart from plant orders are typically shipped within 5 business days. 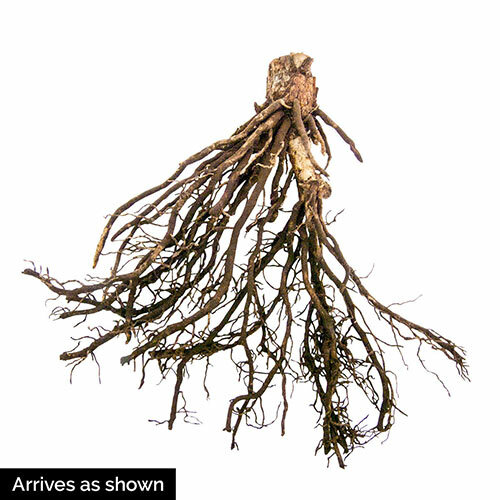 We aim for your order to be in your hands at the ideal time to plant, every time. Our growers must anticipate their supply based on the season they expect. Our experts predict weather patterns as best they can to set suitable shipping windows for each growing zone. However, as any gardener knows, nature is not so predictable. The type of product you order, along with the weather in your area or ours, may affect the anticipated shipping schedule. Based on the contents of your order, we always strive to ship the order complete and as early as possible. However, sometimes this may result in a delay of some items that are ready before others. Our customers have suggested that they would rather wait to receive their order as complete as possible. If you would like to receive part of your order ahead of time, please reach out to our customer service department and we can accommodate. Orders with large items may be shipped in more than one package. There is no extra charge if your order requires more than one package. Bareroot perennials, trees and shrubs are kept in the nursery row until fully dormant. This promotes optimum transit conditions and provides your new plant with the best opportunity for success in your garden. Trees and other oversize items cannot be shipped to PO boxes. After you place your order, you will receive an email confirmation with the details of your order and a delivery estimate. You will also receive an email notification when your order ships with an updated arrival estimate and tracking information. At any time after you place your order you can check your order status on our website using your email or the account number found in your order confirmation email.